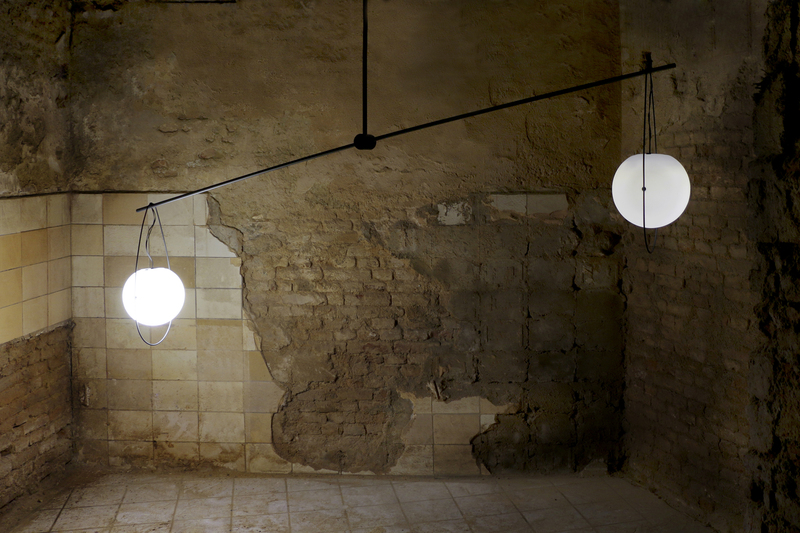 The lamp equilumen consists of a long rod with a glass sphere on each side. When the lamp is balanced, both spheres give off the same amount of light by sharing the lamp’s power equally. Once somebody pulls down one end of the lamp, this sphere will light up to its maximum while the other sphere gets dimmed down. 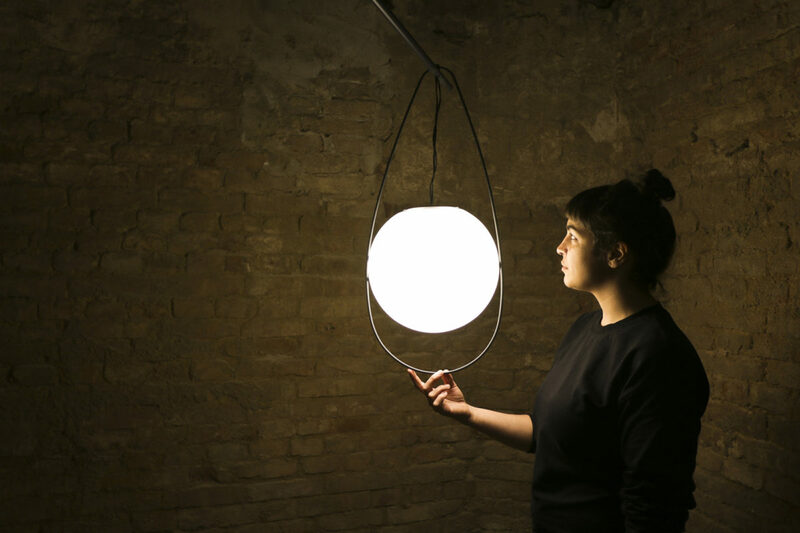 It is a constant game of ‘give and take’ as soon as someone interacts with the lamp – symbolizing that the right balance is a delicate, inconstant position and always a matter of the ideal distribution between participating parties. 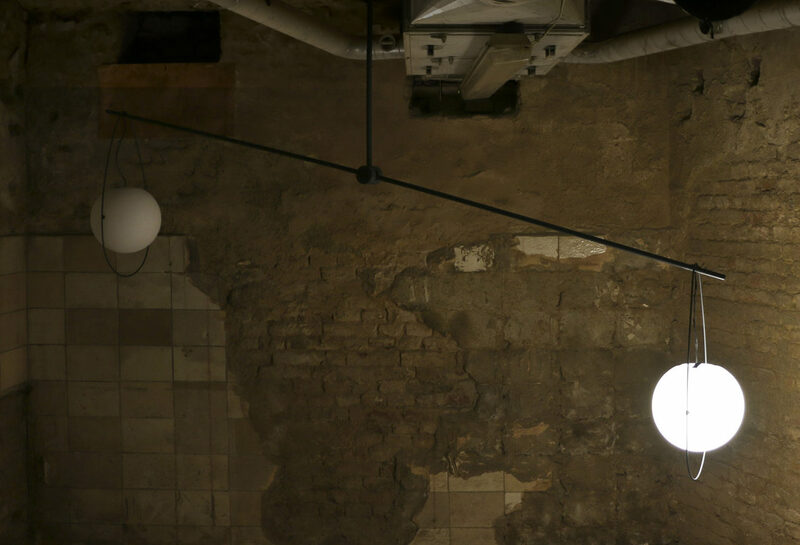 The user can change the distribution of light according to current needs, but has to decide where the light is needed more or have it equally balanced out to create an ambient atmosphere. The project was initially designed for an exhibition on the topic of “freedom” during Designblok 2015 in October in Prague, curated by Tulga Beyerle and Agniescka Jacobson. Once the lamp is balanced, both spheres give off the same amount of light by sharing the lamp’s power equally.